1/2 Price Wine - Monday through Friday! Enjoy the perfect wine country lunch with a ½ price bottle of wine when you buy two entrées at Annata Bistro/Bar! Choose from any of your favorite Mount Palomar wines, including our deliciously dry Castelletto Cortese, our full bodied Cuvée, or our sweet signature Solera Cream Sherry. Entrées feature delectable options like our new Chicken Marsala, our Orange Glazed Salmon, and our Slow Roasted Short Ribs. 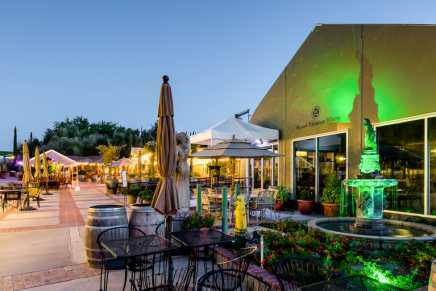 Our on-site bistro also has a full service bar and beautiful views of Temecula wine country. 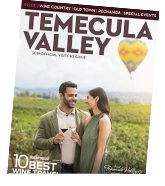 You can view our full menu online at http://www.mountpalomarwinery.com/Annata-Bistro/Bar/Menu 1/2 price wine discount not combine with other discounts or specials, including weekday dining specials. Only available during regular business hours. Not available during specials events or for private parties. Dining menu is seasonal and subject to change. Limit one ½ price bottle of wine per every 2 entrees ordered. Wine must be opened and drank in the restaurant during the visit. Only available in Annata Bistro/Bar, not in the tasting room or other location. Not valid on to go orders.